In their push to keep modern air power, the Imperial Army and Navy air forces performed both domestic research but also borrowed heavily from the designs of the foreign nations. 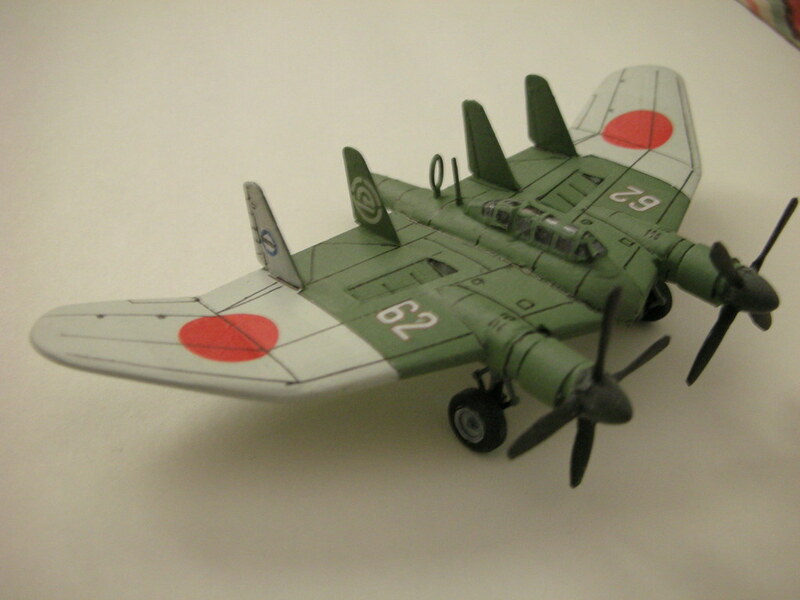 From the USA, they were able to sample the works of Northrop and Boeing and from the UK, Westland's and Handley -Page. 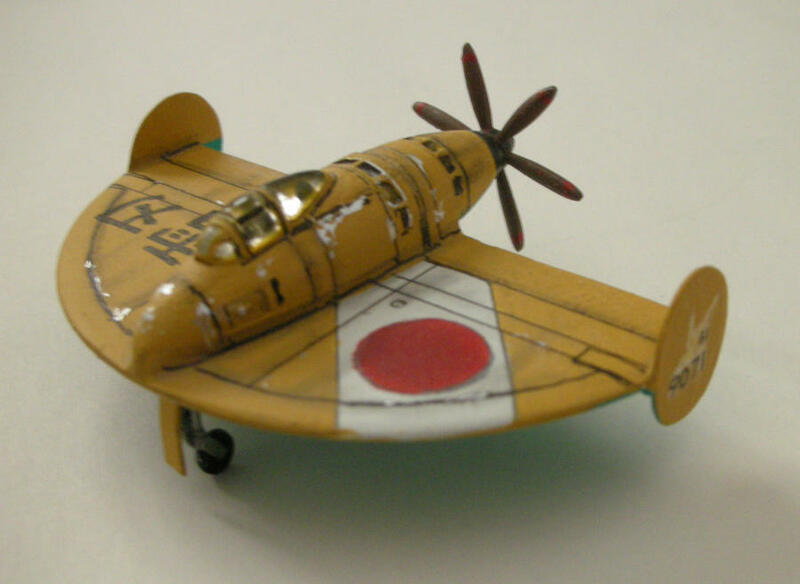 Before tensions broke the pacts with Germany, the designers of Nippon were interested in the designs of Junkers, Lippisch and the Horten brothers. Finally, during the Nomonhan Incident, their designers came by captured and recovered examples of all the Russian parabolics. Like several nations, the Imperial embrace of Tail-less and flying wing designs was intensive but not excluding conventional design, especially in the area of carrier aviation or in flying boats, but the Army was more disposed to the technology. In the area of fighters, they borrowed heavily on the Russian parabolics but insisted on radial powerplants and pusher props in their Ki-198 and Ki-199 series from Mansyu. 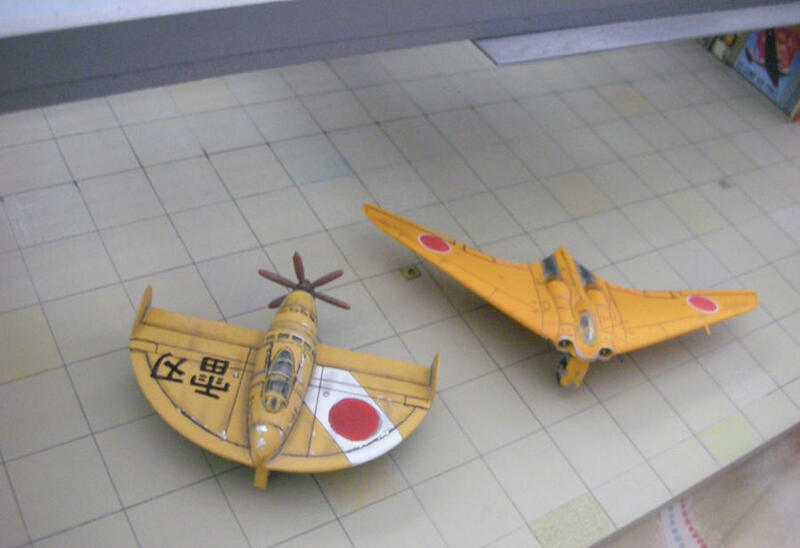 Green machine is a cardstock model, the yellow trainer colored plane is a plastic build using a 1/32 drop tank as the body and the parabola built on laminations. Using Photoshop, I tried my hand at creating a virtual diorama recently. 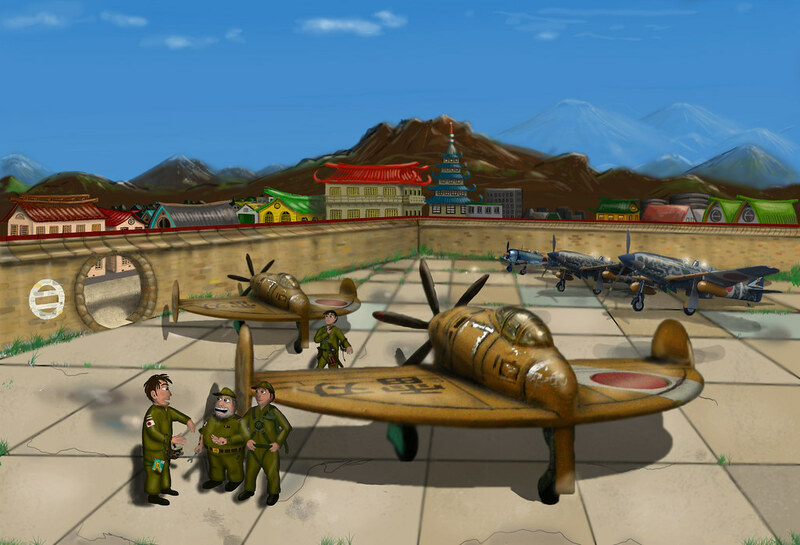 Rather than pasting an airplane into an old picture of an airfield or onto a skyscape, instead created a full background of an airfield and created characters to accompany. Since doing Japanese subject, decided on a further twist and made the characters all anime/manga styled. As sometimes, I take a cameo and am one of the characters. As more of their carriers were lost and they became a land based arm, the Navy also developed a flying wing design fighter in the Gasuden 12. with a strong influence from pre-war Boeing concepts. 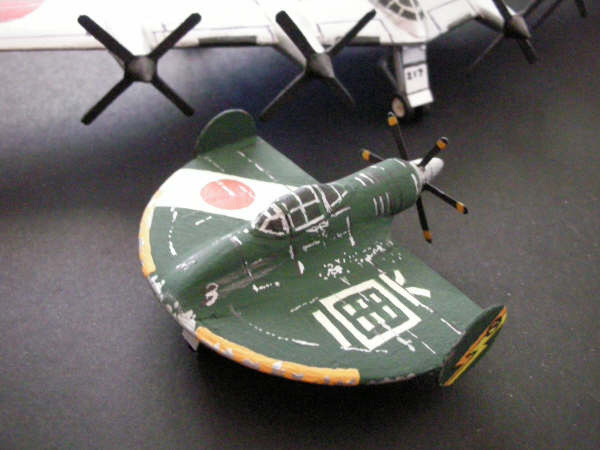 Plastic scratchbuild using F-86 wing, and drop tanks in assorted scales and a Typhoon canopy (modern). There were also designs for bombing in the form of the Ki 159, borrowed heavily from Canova's Italian research. 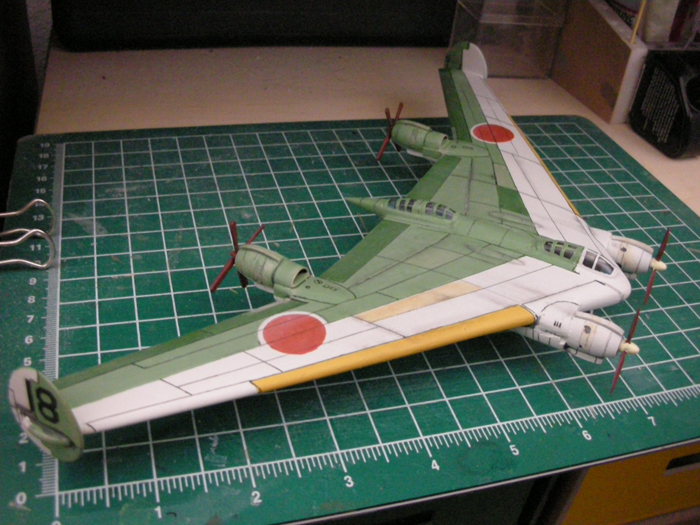 Plastic scratchbuild, stuff from the parts box, I think the wing was once a Ju-88. And the big heavies, like the Navy G5N1. Paper card model. My brain hurts, I'm not sure I can take much more of this exceptionalness! There are some flying wing designs that had some tails or rudders or at least fins and strakes. The "beavertail" was a common 1930's appendage as were some wingtip extensions on short rearward booms , another boeing idea, or the diminutive small tail like Junkers did (G38 and the JU-90) and the wingtip rudders like Handley Page and also Armstrong-Whitworth. We arrived at a consensus that it is pointless for any of us to build flying wings, as you have cornered the market. To say I am astounded by your models would be a mild understatement - they are quite reminiscient of the Sturmadler I gave to PR19Kit to try out - he should have it done soon, so you'll see what I mean! Funny you should say that, I was struck by the similarities too, the wing shapes are pretty much identical. Russ I had no idea that the flying wings on deviant art were just the tip of the awesome iceberg!! These are superb! Got some questions though! 2. How do you do your panel lines? Well, that is a interesting point to make, in that because there are really just a few surfaces in a tail-less or flying wing design, there are a lot fewer possibilities as what-if's go. It is pretty easy for any one builder or CG render artist to cover most of the possibles pretty quickly - as far as the basic types. 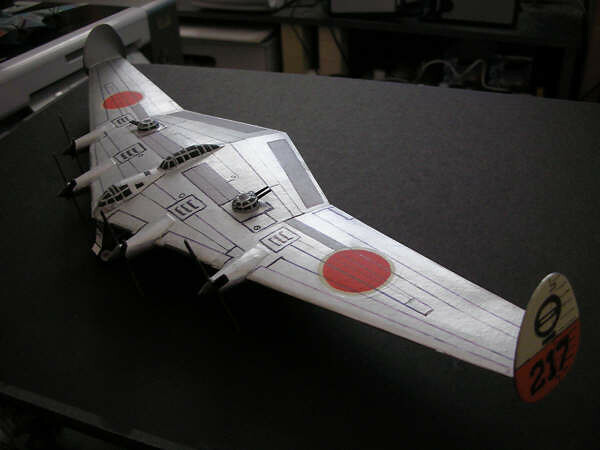 From there comes subtle modifications and a few designs that are not fully tail-less or flying wing or blended body. Its not a really big range to cover. The idea process works like this, take an existing airplane from history or currently, which was or is a machine made to a specific need and specification or an idea by a designer to fill or create a need. Now take that airplane and think about how it would have been developed, first as a flying wing design in a world where there was a sudden shift to these shapes, such as happened more recently with the concept of stealth and later composite building- more complex shapes and computer derived aerodynamics. Then try again with the given example and think of it being a simple step forward in a aviation design community where tail-less or flying wing or blended body was and had always been the normal. Try and keep with some historical basics like jet engines arriving in the 1940's along with a world war and followed by a huge rush of aerospace development inspired by cold war and later by...oil war. Remember too the engineering thought process of a given nation plus the political ways it fits in. Everyone I have met so far in this group is very versed in historical points, the aeronautical engineering basics and the topics such as weaponry and avionics and the supporting technologies. In fact, the forum and topic areas are literally organized along this thought subject list, covering the almost built, the cancelled and the idea of different nations and groups using airplanes than have or had been. So, its probably the same thought stream as anyone here is doing. Often I will see a craft as a whimsical addition to a film or a fiction story, where a unexpected shape or design really adds to the storyline, as we have talked about such classic examples as "Raiders of the Lost Ark" or "Things to come" or even "Mad Max" or the movie "Stealth" or the recent "Avatar". 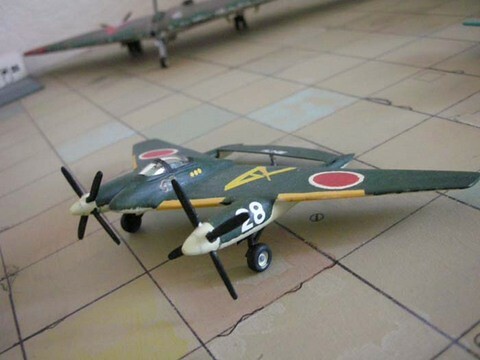 Panel lines in 1/144th scale planes are a semi-controversial subject, and there is a general agreement among the enthusiasts on the Yahoo Small Scale Models group and the KG144BBS both where I participate that (there is no correct answer to this). Another hot potato is that what should colors to paint these smallest models be formulated too to get the right " perspective" effects versus aesthetics. The formulas are shocking, being almost 50 percent desaturations in most cases as advocated by some where others simply go with the standard FS or RLM or whatever charts and go with it. 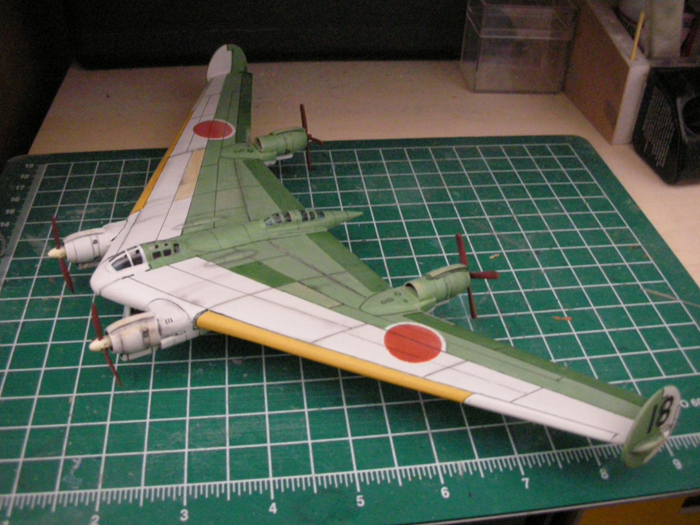 For panel lines, some avoid them altogether, they should not logically appear at the scale and the planes should maybe just have control surfaces and windows only. Others go right ahead and do everything, including rivets and pre-shading plus for metal finishes, the varied panel types. We agree to disagree. One thing agreed on is that some molders of kits or makers of those trading-toy-collectors-kits-gashapons are making cavernous recessed lines and have gone too far. My style is to draw the panels on using a .5 micron tip drafting pen with archival quality ink (non-fading) and for things like control surfaces, go with a full micron pen. I do not often do any pre shading but will occasionally post shade some lines with pigments or chalks, along with things like exhaust or weaponry stains. I'll do some color changes for different materials like fabric covered controls or hot places, plus material shadings of metals. Use straight edges for the panels drawing. I do weathering, and to the anger of some small-scaler's will do chipped paint. 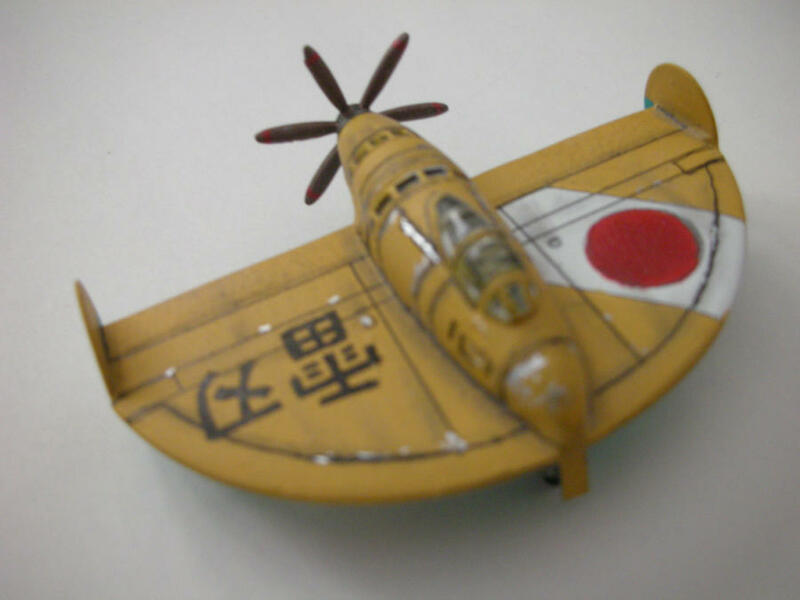 I'll also occasionally paint markings such as simple hinomaru's . 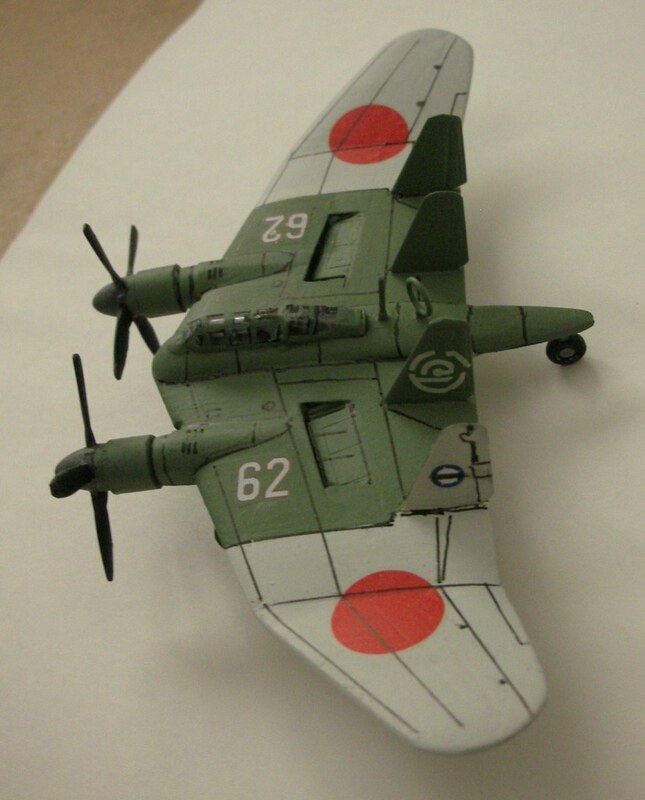 The ones on the Japenese flying wings are all hand painted. For stars or roundels beyond the basic two color, go with decals. I seldom airbrush, most everything is brush painted by hand since the hobby is supposed to be fun versus industry. I rarely if ever take in progress pictures, just never got used to doing it. However, I have in recent years, because of questions about my techniques, written up illustrated tutorials on some methods which I can post here. Is there a best forum for tutorials or general techniques? Did I mention that I get long-winded? Different, imaginative, well done; Thanks for this.